Το FDA μόλις ενέκρινε ένα νέο μονοκλωνικό αντίσωμα για την θεραπεία του σοβαρού άσθματος. Το χημικό μόριο είναι η Μερολιζουμάμπη και το εμπορικό σκεύμασμα λέγεται NUCALA. Είναι μιά μηνιαία ένεση αντισώματος που εμποδίζει την δράση της Ιντερευκίνης- 5, ρυθμιστή της δράσης των ηωσινοφίλων, και ενός κομβικού μορίου στην μεσολάβηση της αλλεργικής φλεγμονής στο αλλεργικό άσθμα. 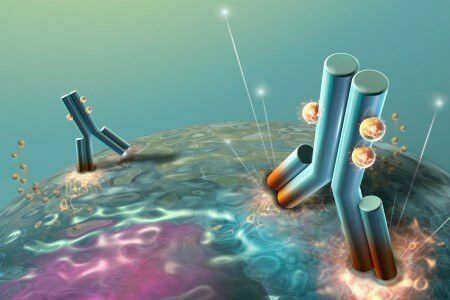 Mepolizumab, which will also be known by its trade name Nucala, is a monthly injection of a monoclonal antibody that inhibits interleukin-5. Interleukin-5 is a cytokine which helps regulate eosinophils. Eosinophils are white blood cells which can be a prominent feature of several forms of asthma, especially allergic and severe persistent asthma. The allergic reaction to an antigen often involves the development of eosinophils. The underlying damage to the respiratory airway is often contributed by vast amounts of eosinophil migration; increase up regulation of eosinophil production; adhesion of eosinophils to the airway; and release of eosinophils toxic products. Up to now the therapy to control eosinophils often rely on inhaled and systemic steroids. According to the World Health Organization (WHO) estimates there are 235 million people living with asthma worldwide. It is estimated that as many as 10% of those patients who have severe persistent asthma cannot achieve good control with the available inhaled anti-inflammatory medicines and may need chronic systemic steroids. It is this group of patients that new therapy may provide a safe alternative for additional control. To date specialists have been able to use a monoclonal antibody known as the Xolair also known as Omalizumab which targeted the IgE antibody seen in some forms of asthma. With this recent FDA approval, specialists such as the physicians at Allergy Partners will be better able to select the appropriate therapy for the more difficult asthma patient. The most common side effects of Mepolizumab include headaches, upper respiratory infections, asthma, local injection site reactions, back pain and fatigue.